A Qing official before the Opium Wars, Wei Yuan was one of the first Chinese thinkers to discuss the growing power gulf between China and the West. His writings began the exploration of how reforms might help China regain its lost "wealth and power." 1794 Who Was Wei Yuan? Wei Yuan was born in Shaoyang Prefecture of Hunan Province in 1794, to a family of mid-ranking scholar-officials. An in-depth Chinese biography of Wei is available here. Map by Croquant (Own work) [CC-BY-3.0], via Wikimedia Commons. When Wei Yuan was born, the Qing Dynasty was at the apex of its power, as the Qianlong Emperor neared the end of his six decade reign. Under Manchu-led Qing rule, China had more than doubled in size thanks to brutal military campaigns in the 17th and 18th centuries, described by Peter Perdue in China Marches West: The Qing Conquest of Central Eurasia. Economically, China’s wealthiest regions rivaled standards of living in the richest parts of Europe, according to Kenneth Pomeranz’s groundbreaking book The Great Divergence: China, Europe and the Making of the Modern World Economy. Just months before Wei Yuan’s birth, Emperor Qianlong received Lord George Macartney, a British emissary, in Beijing. Qianlong dismissively informed the British that China had no need for any English goods or inventions, and sends him back to King George III empty handed. This dismissal would prove a defining moment in Sino-Western relations, with the British left desperately searching for other ways to balance a massive trade deficit fueled by British demand for tea. Wei was a precocious student, excelling at the early stages of China’s imperial examination system. His performance on the first stage of examinations, at the country level, identified him as one of the brightest young students in Hunan Province. His performance won him a fellowship to study for the highest levels of the examinations in the capital in Beijing, where he passed the province level examinations at 28. In Beijing, Wei strayed from the well-trodden path of ambitious young Chinese, gravitating towards unconventional thinkers like Liu Fenglu. Liu was one of the leading philosophers of his day, and may have planted in Wei Yuan’s mind a more linear, teleological reading of the Confucian texts, supplanting the belief that the dynasties moved in great, repeating cycles. Whether due to the influence of Liu or other factors, Wei’s upward momentum slowed, and he failed to pass the highest exams for two more decades. But unburdened by official duties, Wei was left with far more time to do radical, original thinking. In 1826, Wei published his first major work, An Anthology of Statecraft Writings from the Present Dynasty. Recruited by a wealthy official to compile a collection of writings on government and policy, Wei made an unexpected choice. While Wei focused on works by Confucian scholars, he chose works that proposed practical, pragmatic solutions to China’s troubles. From these Confucian parts, a very different whole emerged, exuding Legalist philosophies of strengthening the army and enriching the state. “Wealth and power,” fuqiang (富强) had reappeared. At its core, Wei's statecraft reform agenda turned out to be based less on the moral values preached by Confucians than on the precepts of the Sage's ancient rivals–a group known as the Legalists who emphasized wealth and power as primary goals. 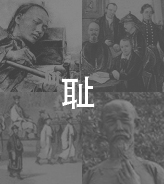 Legalism, or fajia (法家), the philosophical school that animated Wei Yuan’s Statecraft Anthology, rejected Confucian personal and political ethics. Traditional Confucian thought stressed loyalty, family, rituals, and harmony as the foundations of a virtuous ruler and a well-governed state. Legalists, by contrast, believe a ruler should be guided by two simple principles, “a wealthy country and a strong army,” fuguo qiangbing (富国强兵). An early proponent of Legalism was Shang Yang, an ancient Chinese ruler who would later interest a young Mao Zedong. Lin Zexu (1785-1850) was sent by the Daoguang Emperor to Canton (now Guangzhou) in 1839 with orders to halt the British trade in opium. Upon arrival, he systematically collected and destroyed all the opium he could find. 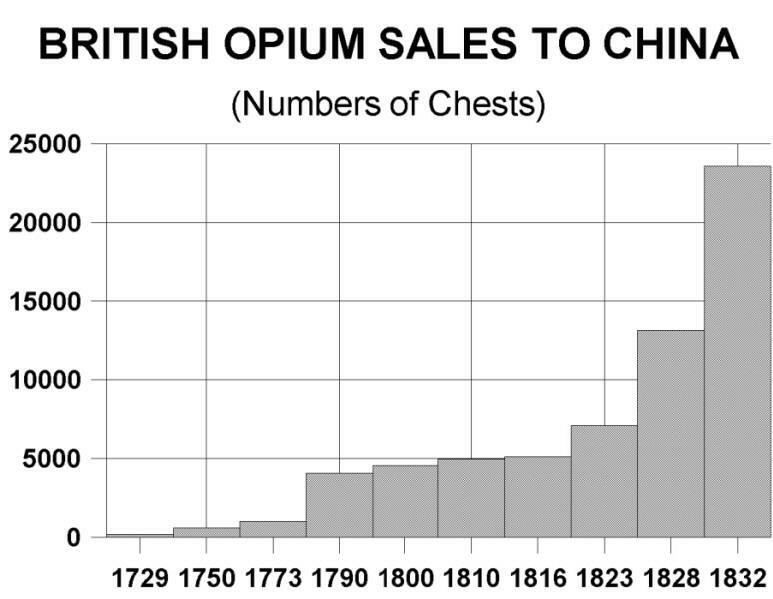 The British, who were eager to expand the drug trade beyond the southern port city, used Lin’s actions as an excuse to launch the First Opium War. This Chinese “making-of” documentary examines in-depth a classic Chinese film reenacting Lin’s conflict with the British. In 1839, British conflict with Lin Zexu’s policies in Guangdong led to the outbreak of the First Opium War. The technologically superior British overwhelmed the more numerous Chinese. The victorious British forced the Chinese into the first of many “unequal treaties,” the Treaty of Nanjing. This treaty marked the beginning of China’s century of humiliation, or chi (耻), the title of this chapter. While Wei, living in Yangzhou, was not affected by the war directly, he created an important record of the conflict. In An Account of the Daoguang-Era Pacification Campaign Against the Western Ships, Wei glorifies Lin Zexu’s heroic attempts to resist the British. A translation by Edward Harper was published in 1888 under the title Chinese Account of the Opium War. Read this illustrated essay from scholar Peter Perdue on the entire history of the opium trade in China and the First Opium War. The last panel in the temple's exhibit room makes modern Chinese history into a heroic morality play: "The unequal treaties are like acts in a historical tragedy, telling sorrowfully of the misfortunes, grief and humiliation of the Chinese people. But the abolishment of the unequal treaties has shown the Chinese people's unwavering spirit of struggle for independence and self-strengthening." China lacked the tactical and technical knowledge to compete with Western militaries. China’s diplomatic skills and understanding of international relations trailed far behind the West’s. China needed to get better at “using the barbarians to manage the barbarians,” or yiyizhiyi (以夷治夷). China could have turned to the Americans or French for support during the war, as both nations might have supported China against the British, but Chinese officials lacked the required understanding of international politics. These perceived failures, and the inability of Chinese leaders to recognize them, sent Wei into a frenzy of research and writing. Besides the need for a radically new approach to defense, the other great lesson Wei took from the opium war was that, in order to exploit divisions between the imperialist powers to its own advantage, China urgently needed to study international relations. Immediately following the signing of the Treaty of Nanjing, Wei Yuan released his second major piece of writing, the Sheng wu ji (圣武记), or Records of the Conquest, a paean to the rise of the Qing Dynasty. When the state is rich and powerful, it will be effective–it deals with the traitors and they will not persist in their ways; it administers revenue and [the revenue] will not be wasted; it acquires weapons and they will not be flawed; it organizes armed forces and the troops will not be understrength. What then is there to fear about barbarians anywhere–what is there to worry about as to defense against aggression? A complete scan of this work is available online in two parts (in Chinese)–read part 1 and part 2. Wei’s fourth and final major work focused on the maritime powers that were encroaching upon China. In Illustrated Treatise on Sea Powers, the Hai guo tu zhi (海国图志), Wei begins to look at what can be learned from the Western seafaring nations. Drawing from work by Lin Zexu and from conversations with Peter Anstruther, a British POW whom Wei interrogated personally, he put together as much information as he could on nature of the new threat. Scans of 40 volumes of this work (in Chinese) are available online, including illustrations. Visit part 1, part 2, part 3, and part 4. Wei finally passed the highest levels of the imperial examination in 1843. As a result, new official duties limited his work as an independent, reform-minded scholar. Unfortunately for Wei, life as a high level mandarin was difficult. With the Taiping Rebellion raging, the erstwhile reformer Wei took the very conservative step of retiring to spend his last years in a Buddhist Monastery. Wei passed away at his retreat in Hangzhou in 1857, leaving behind a very important body of scholarly work, including some of the earliest explorations of “the encroaching Western world,” which would have a profound influence on the reformers that followed him.